Welcome to Ruma Rima: That Was Summer . . .
Today Ruma Rima was inspired by Sheena Cameron and the The Writing Book - Ms Brown's go to person, for inspirational lesson ideas! Our focus for reading integrated with our writing - activating prior knowledge. In this case, experiences over summer we could all relate it . . . can you remember your summer through the five senses used? Remember when we paddled on our surfboards to Picnic Bay through shimmering salty water, running against our feet. Remember jumping off the wharf and feeling the current pulling you viciously. Remember seeing the sign that says . . . 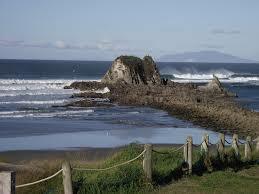 Welcome to Mangawhai. Remember opening your window and smelling the fresh salty air. Remember getting our tent blown over and the flapping tent all night. Remember slapping into the water from flipping out of the sea biscuit and then your family laughing. 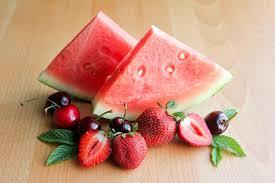 Remember the sweet taste of watermelon on your tongue. Remember the sweet strawberries we picked. Remember the hard water when we fell off the biscuit. Remember the sprinkler we put on for Coco but we used it more. Remember the smell of sizzling sausages on the BBQ. Remember the fresh smell of mums lemonade cordial. Remember the excitement opening your pressies on Christmas Day. Remember the great day ziplining on Waiheke. Remember the crackling of the fire that after a while cooked our delicious food. Remember the taste of the yummy food from the hangi, not to hot, not too cold - perfect! Remember the look on our faces when we opened our presents. Remember my cute baby cousin as he laughed when you tickle him. Remember the fun we had watching all of the movies. Remember staying up late and waking up at 10:00am in the morning. Remember getting home with our presents and trying them out for the first time. 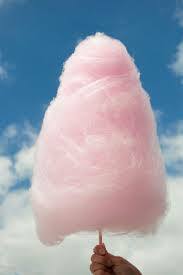 Remember the delicious taste of candy floss melting in our mouths. Remember having amazing fun with my family. Yep, that was definitely summer! Remember fishing at the wharf. Remember the feeling of fresh fish scales. Remember the excitement of reeling in a snapper. Remember the smell of salt water. Remember eating snapper that has been buttered and taste nice. Remember seeing people with kayak's trying to catch fish but couldn't. Remember going to the skatepark while it was crowded. Remember the pain of grazing and falling off your skateboard. Remember pizza by the beach, then playing on the sand. Remember the waves as the wind picked up. Remember the fun swimming in the pool. Remember boogie board wars, fun and giggles.